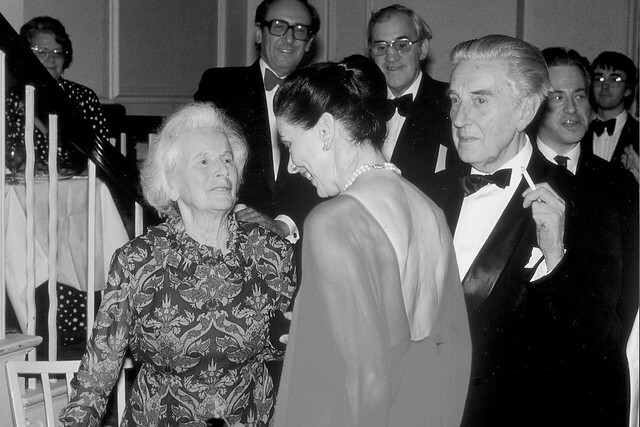 Choreographer Sir Frederick Ashton, who created more than 100 ballets in his 60-year career, is one of the most influential figures in the history of dance. His contributions have been recognized with numerous awards, honorary doctorates from institutions like Oxford University, and even knighthood. Wheater worked with Ashton on other ballets, performing and rehearsing Monotones II, The Dream, Jazz Calendar, and other works. As the Joffrey prepares to mount Ashton’s Cinderella, Wheater reflected on his time with the legendary choreographer and shared fun facts to corroborate information about his life and work. Ashton established a distinctly English style of ballet. Ashton quite literally founded the school of English ballet. In 1938, he became principal choreographer of the Vic-Wells Ballet, which later became the Royal Ballet under the leadership of Dame Ninette de Valois. Ashton is also known, perhaps above all else, as founding a uniquely English style of dance. But what exactly is “English” about it? He grew up in South America. Though Ashton is considered quintessentially English, he was actually born in Guayaquil, Ecuador, where his father served as British vice-consul. The Ashtons moved briefly to Lima, Peru, but returned to Ecuador in 1914. Frederick did not go to England until he was in his teens; his father sent him to Dover College in 1919. Ashton spoke Spanish and English fluently. 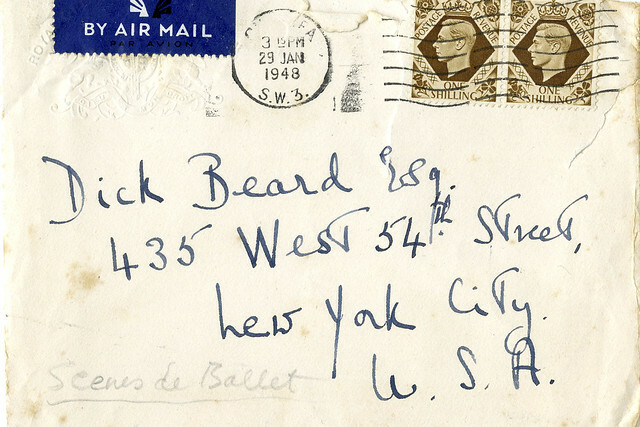 Anna Pavlova inspired him to become a dancer. Ashton knew he wanted to be a dancer when he saw Anna Pavlova perform in 1917. Audiences around the world got to know Pavlova particularly through her work as a principal dancer with Diaghilev’s Ballets Russes. Later, Ashton would go on to study with Léonide Massine, a member of Diahilev’s troupe who later formed his own Ballets Russes de Monte Carlo members of the original company. Ashton’s dreams of becoming a dancer came full circle in 1939 when he was asked to create a new work, The Devil’s Holiday (Le Diable s’amuse), for Massine’s company. Ashton had a recognizable style both as a dancer and a choreographer, especially because of his elegant épaulement, or placement of the shoulders. Wheater says that Ashton also had a singular port de bras, or arm movement, which was “lyrical all the way out to the fingers. He saw the body very much in a three dimensional form. Sometimes the way we use our arms, things can look quite flat. But Ashton was able to achieve a kind of articulation through his upper body that extended through his elbows, wrists, and hands” that was instantly recognizable. He has his own signature “Fred step” (which actually wasn’t his own). Ashton adored Pavlova so much that he frequently incorporated a short sequence of steps of hers into his own work. What is now known as the “Fred step” is composed in technical terms of an arabesque, développé, pas de bourrée dessous, and a pas de chat.Wheater described the step in lay person’s terms: “It’s a little bit like a seesaw, you transfer your weight, and you catch both of your feet underneath you and land on both of them. You really use the weight of the upper body, and since the head is the heaviest part, you want to put it above the supporting leg each time.”For visual learners, the video above explains the step even better. He had no qualms about cross-dressing. 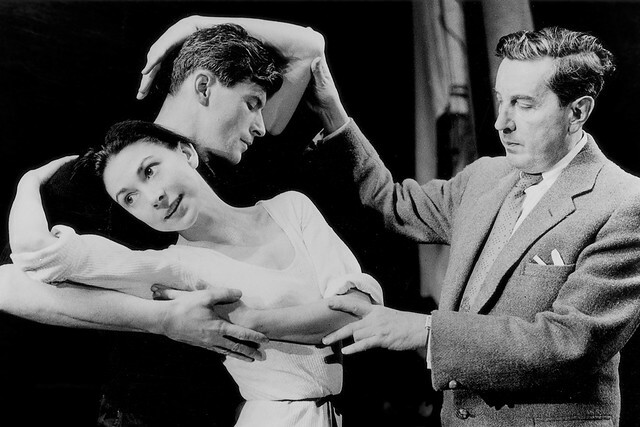 Ashton worked extensively with Margot Fonteyn, whom Queen Elizabeth II herself appointed as the Royal Ballet’s Prima Ballerina Assoluta. 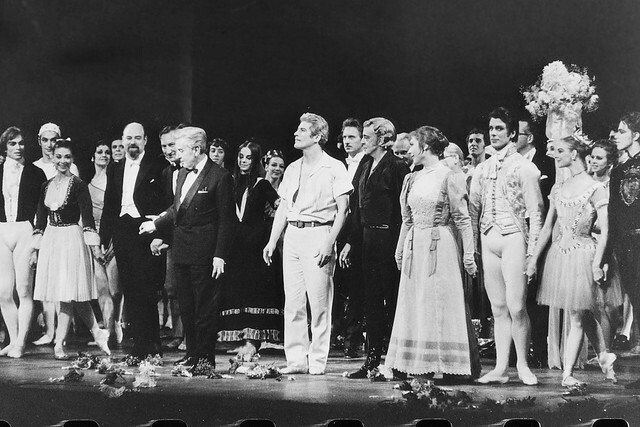 In a BBC Radio interview, Fonteyn revealed that she first thought Ashton was a “madman” whose choreography was “impossible.” Wheater said he wasn’t quite so sure about that, though he commented: “In a stage call during Death in Venice he was so angry at me for talking on stage. The thing is: I wasn’t talking on stage. So I said, ‘Sir Fred, it wasn’t me talking,’ and he said, ‘Don’t be so insolent and don’t talk back.’ But I insisted I wasn’t talking because I wasn’t. Still, I never saw the dark side of him.”Marie Rambert, one of Ashton’s teachers, described him as “passionately lazy.” Wheater said, “I don’t think that applies.” In fact, Wheater remembers Ashton as an indefatigable choreographer who knew how to achieve results with his dancers, no matter how many times they had to repeat steps in rehearsal. He was no stranger to the silver screen.